The team preparing the ground for a new visitor centre for the Painted Hall at the Old Royal Naval College have uncovered remains of Greenwich Palace, birthplace of Henry VIII and his daughters Mary and Elizabeth I – a “remarkable find” according to experts. Two rooms from the grand palace – comparable in scale and grandeur to Hampton Court. 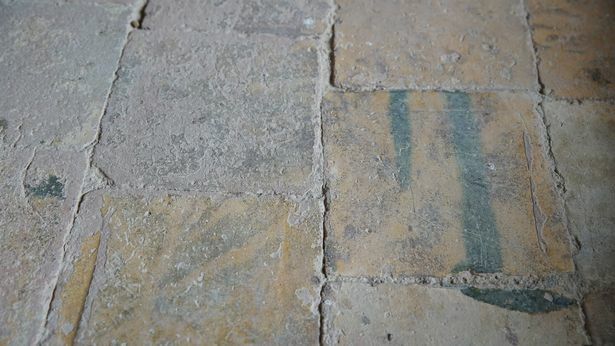 A floor featuring lead-glazed tiles has been exposed and these are likely to be from the service range, possibly where the kitchens, bakehouse, brewhouse and laundry were.One of the rooms was clearly below ground and contains a series of unusual niches, which archaeologists believe may be “bee boles” for hive baskets (skeps). 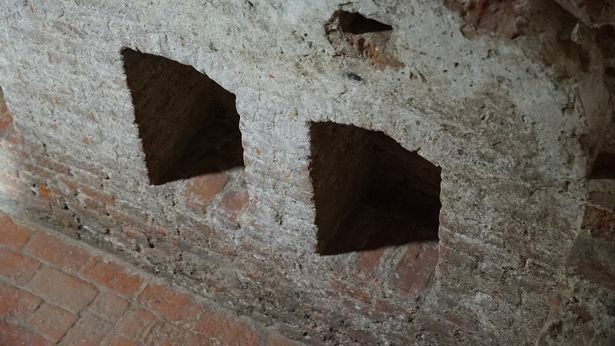 Bee holes have occasionally been found in historic garden walls, but it is very rare to find them inside, making this find even more significant. The niches were probably used for keeping food and drink cool in the summer months when the skeps were outside. 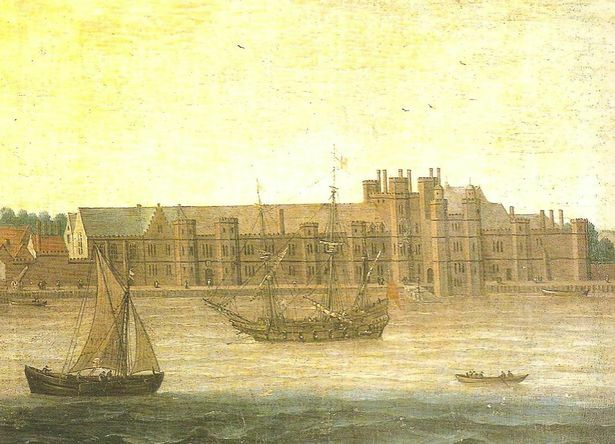 Nothing of Greenwich Palace survives above ground but, in its original form, it included state apartments, courtyards, a chapel, elegant gardens, a substantial tiltyard for jousting with a five-storey tower for viewing. With the coming of the Stuart dynasty, and the construction of the Queens House, the old-fashioned Tudor Palace was neglected in favour of the new renaissance style, and with the designs for a new Stuart palace, the Tudor buildings were swept away. In fact the new palace, which was being designed by Christopher Wren in the style of Versailles, was never built, and instead, Greenwich Hospital was created instead, which today is the Old Royal Naval College. Chief executive of Historic England Duncan Wilson said:“This is a really remarkable find. The Tudor period is one which grips the public imagination like no other, probably because of the larger-than-life characters like Henry VIII and Elizabeth I, as well as the magnificence of the buildings. “To find a trace of Greenwich Palace, arguably the most important of all the Tudor palaces, is hugely exciting. The unusual and enigmatic nature of the structure has given us something to scratch our heads over and research, but it does seem to shine a light on a very poorly known function of the gardens and the royal bees. Greenwich Palace was built by Henry V’s brother, Humphrey, Duke of Gloucester, in 1426, and rebuilt by Henry VII between c1500-06. The Palace was substantially demolished at the end of the 17th to make way for the Royal Naval College. From surviving paintings and documents it is known that the palace covered much of the land on which the Old Royal Naval College stands. Discussions are now underway over the possibility of displaying the Tudor archaeology in situ within what will be the new Painted Hall interpretation gallery. Previous articleIs your office like the survival of the fittest?